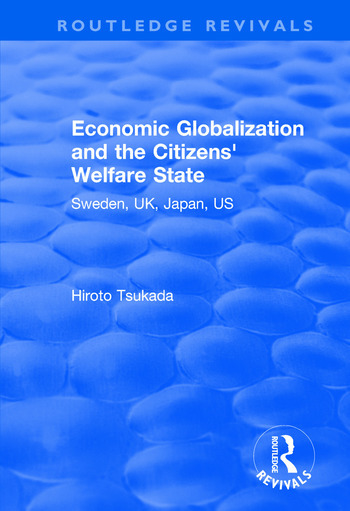 This title was first published in 2001: Examining the future of the welfare state in four globalizing economies - Sweden, UK, Japan and US - this book presents a detailed analysis of the ways in which social and economic aspects of these welfare states have altered under growing market-first ideology and economic globalization. The book will be essential reading for all those interested in the present and future of the welfare state, both through its theoretical perspectives and because of the thorough attention paid to the health of society today. Contents: Questions; Civil society and the welfare state; Setback of the welfare states - Sweden, UK, Japan, US; Arguments on the future welfare state; People’s choice; Toward a citizens’ welfare state; Conclusion; Appendix; Bibliography; Index.